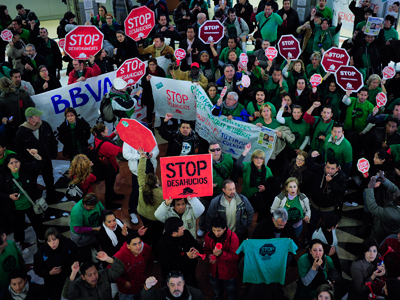 Rallies have been organized in Madrid and 60 other cities by 150 organizations, including trade unions representing the construction, car, television, police, and health services industries. 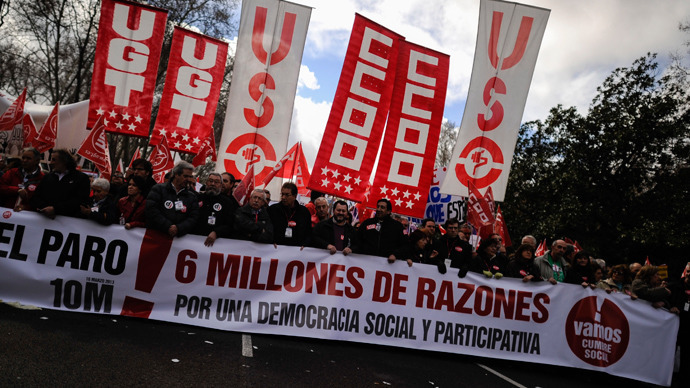 The actions were called "against unemployment and for the renewal of democracy," the UGT, one of the biggest trade unions, said in a statement. General Workers Union spokesman Candido Mendez told AP that most people reject the government’s austerity policies, which he said were pushing many people toward poverty and away from democracy. "Bread and a roof at a fair price," read some of the signs waved by protestors. 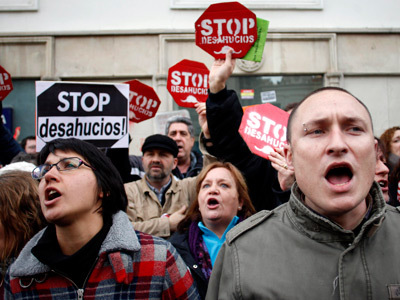 Others brandished pictures of Prime Minister Mariano Rajoy with the words "Wanted: serial con man". 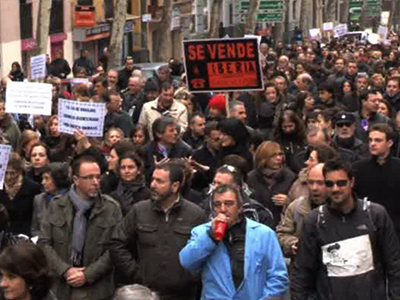 The UGT urged "a radical and urgent change in economic policy in Europe as well as Spain". "The policies of 2012 have been a resounding failure in tackling the crisis and have only made all our problems worse," the union said. Rahoy and his government insist that budget cuts are necessary to meet the targets for cutting deficit that has been agreed with the EU. 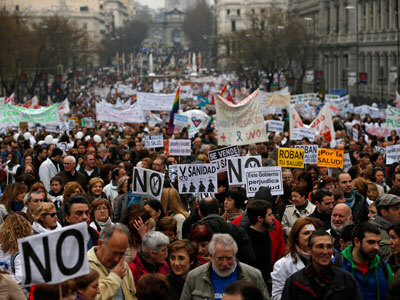 Officials believe the present austerity will strengthen Spain's finances and economy in the long run. Still, on Saturday, New Europe Online reported that the number of unemployed people in the European country had gone over the 5-million mark for the first time since such records began. But while the overall jobless rate is at 26 per cent, the figure among youth is even higher – soaring to over 50 per cent. Many of the nation’s young graduates and qualified professionals are emigrating to other countries to find work. 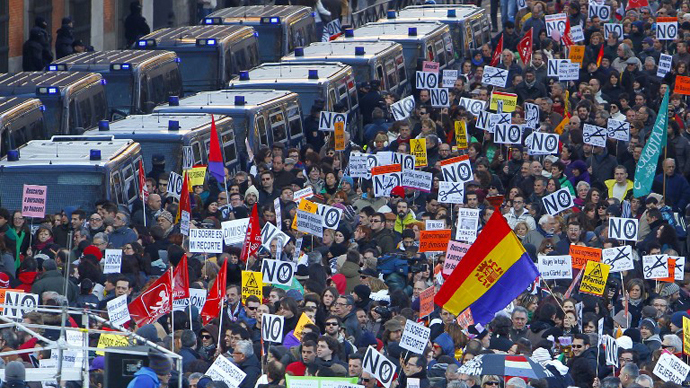 The protests come just two weeks after tens of thousands of demonstrators marched in cities across Spain to rally against the economic hardship and corruption caused by the country’s financial crisis. Dozens of people were arrested or injured in Madrid. Spain’s economy is embroiled in its second recession in three years, sparked by the 2011 collapse of the country’s housing market.